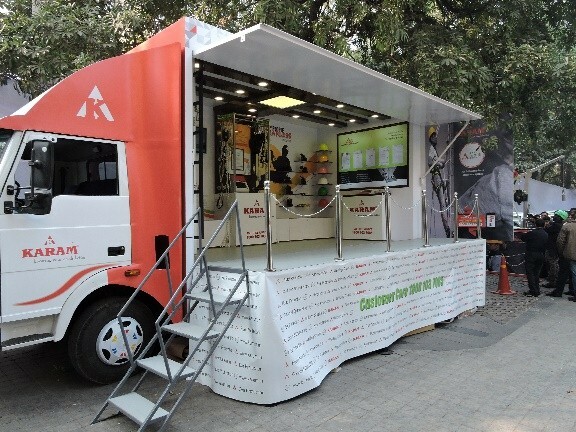 With the rising need of spreading awareness of Safety at Workplace, KARAM launched its Mobile Studio under the campaign name of ‘Safe India Drive’. 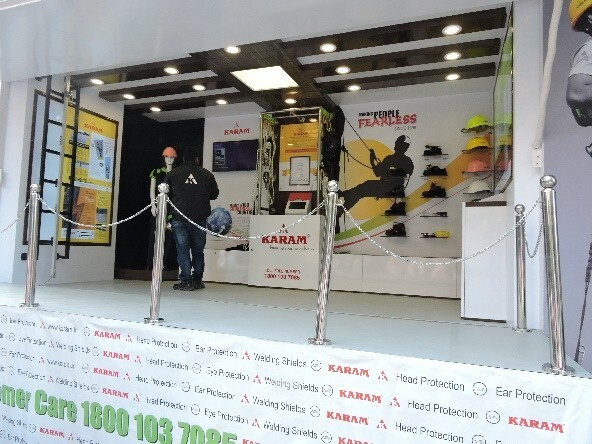 Through the Mobile Studio , KARAM has extended its hands to all the industries to learn all about safety from its experts at their doorstep. 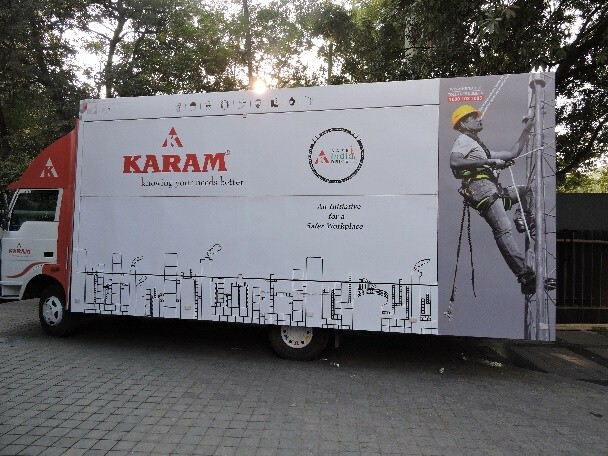 KARAM Mobile Studio gives you a chance to see new innovative products, try fall protection equipment on a training scaffolding and also witness a live test of KARAM products. The entire program lasts for 90 minutes and can be repeated multiple times a day. 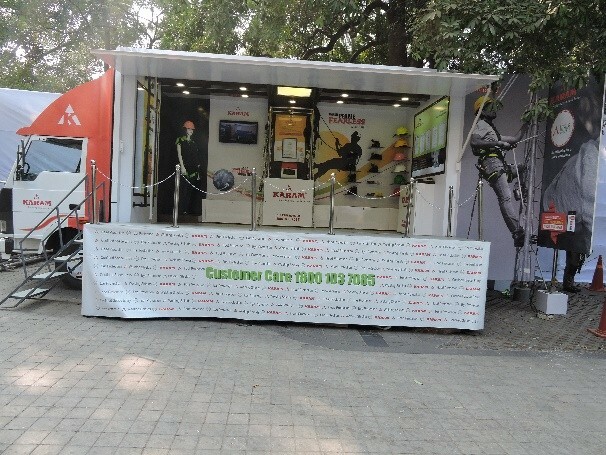 Through the KARAM Mobile Studio, our endeavour is to cover the span of the entire country to spread safety awareness based on correct usage of the products. 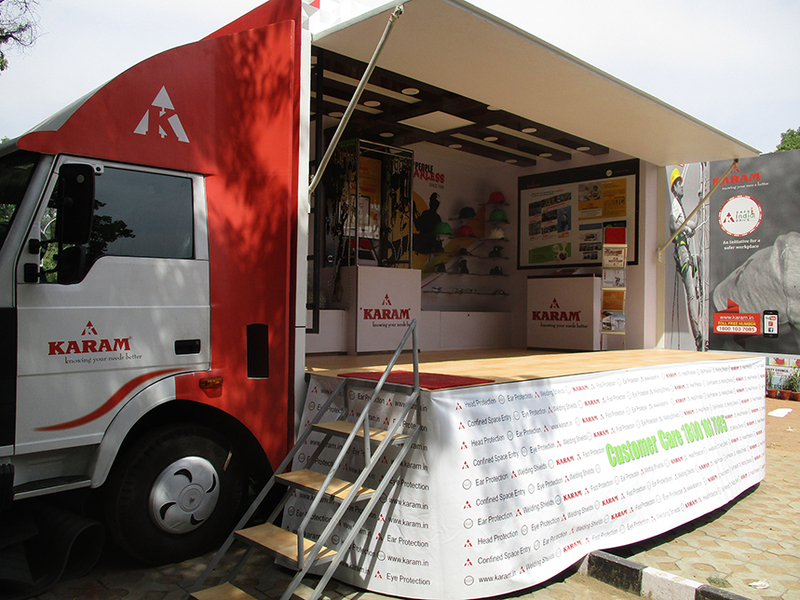 In the first phase of its operation, the KARAM Mobile Studio has been able to visit states like – Delhi/NCR, Haryana, Rajasthan, Gujrat, Tamil Nadu, Pondicherry, Andhra Pradesh, Telangana, Karnataka and Kerala. In the second phase it is about to cover states like Goa, Maharashtra, Madhya Pradesh, Chhattisgarh and so on.. It was good for the team. We got to know about the products which we did not knew previously. It is excellent. It was very helpful. The approach was very nice it. We would love to organize it again whenever it is suitable. Was a wonderful activity. My team was pretty excited after seeing the mobile van and the whole setup. It created an excitement for the team to watch the demo and training. Safety Head – Adani Port Ltd. It was a good experience for me and my team. I also liked the Mobile van the way it was designed. It was a well-planned and well organized activity at whole. Thank you for considering us as a potential client. Karam Lounge program was very good. 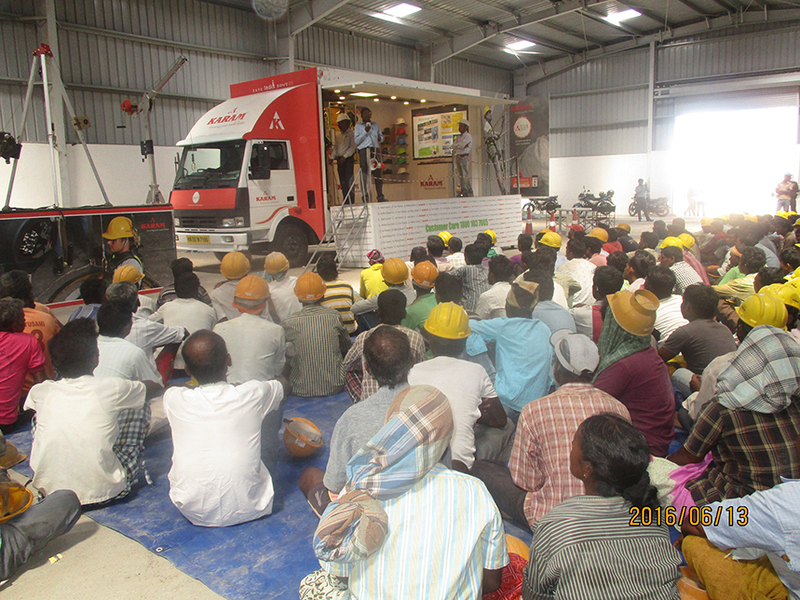 Our workers are happy to have such a good safety program at our company premises. We want that such sessions should happen again in future. 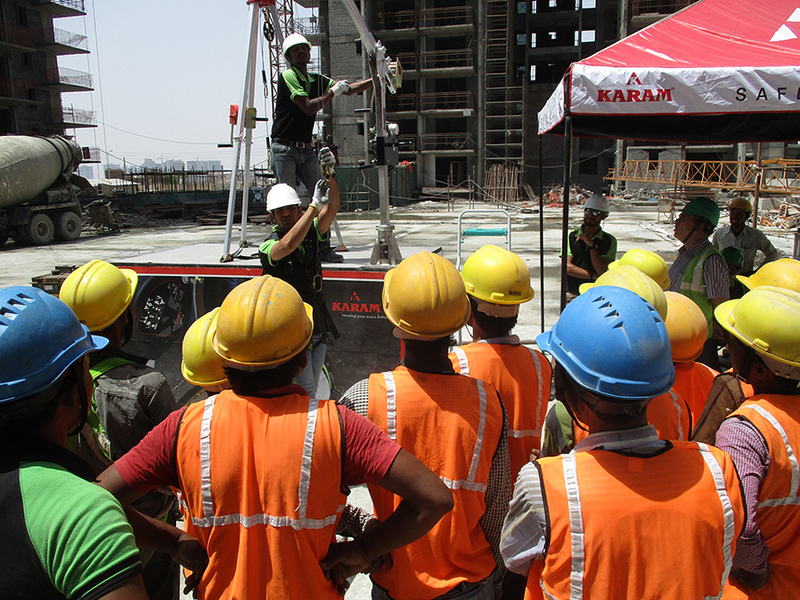 Manager Safety – Apollo Tyres Ltd.
Karam safety training program was a very good session for our workers and supervisors. This is a very good initiative to aware the working people on self-protection. We have given an order to Karam to buy full body harness and safety glasses. Manager Safety – AVT Natural Product Pvt. Ltd.